The sale was held Feb. 9, online and live at 59 Webster Street, New Hamburg, Ont., Canada. 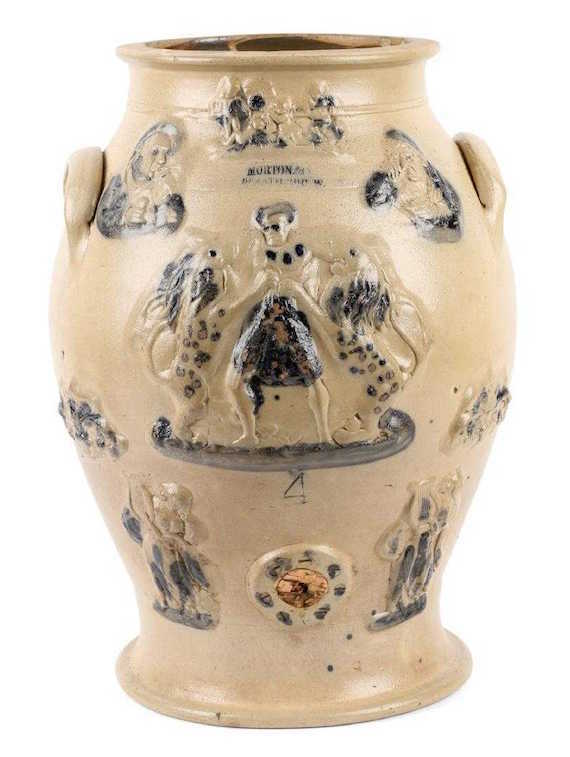 NEW HAMBURG, Ontario, Canada – A Morton & Company stoneware water cooler from the early 1850s, made by Justus Morton in Brantford, Ontario, Canada, soared to $30,680 to take top lot honors in Miller & Miller Auctions, Ltd.’s 499-lot Canadiana & Historic Objects Auction, held Feb. 9th online and in the New Hamburg gallery. All prices quoted are in Canadian dollars.